I'm Jaime from Polka Dots on Parade and I'm soooooo excited to be guest posting on the Funky Polkadot Giraffe today!! 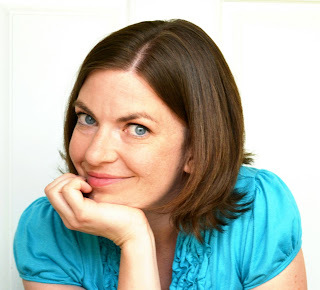 It's especially exciting since I know Kyla in real life and she is one of my great crafty inspirations!! We are friends first because we are related by friendship - our Mom-in-laws are besties - and second because of our serious fabric addiction! I spend most days in my pajamas, homeschooling my sweet boy and reading as many books as possible to my sassy adorable little girl! It's always a new adventure around here! My great love besides fabric is food!! 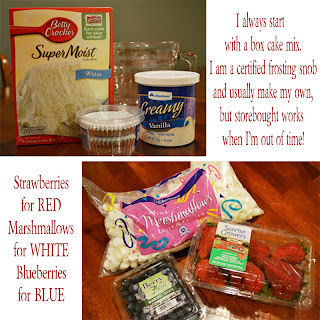 Today I want to share a couple of fun foodie ideas for the upcoming patriotic holidays! I LOVE red, white, and blue and I'm so excited to start the patriotic season with my favorite course, DESSERT!! This was my original vision - A cupcake flag!! 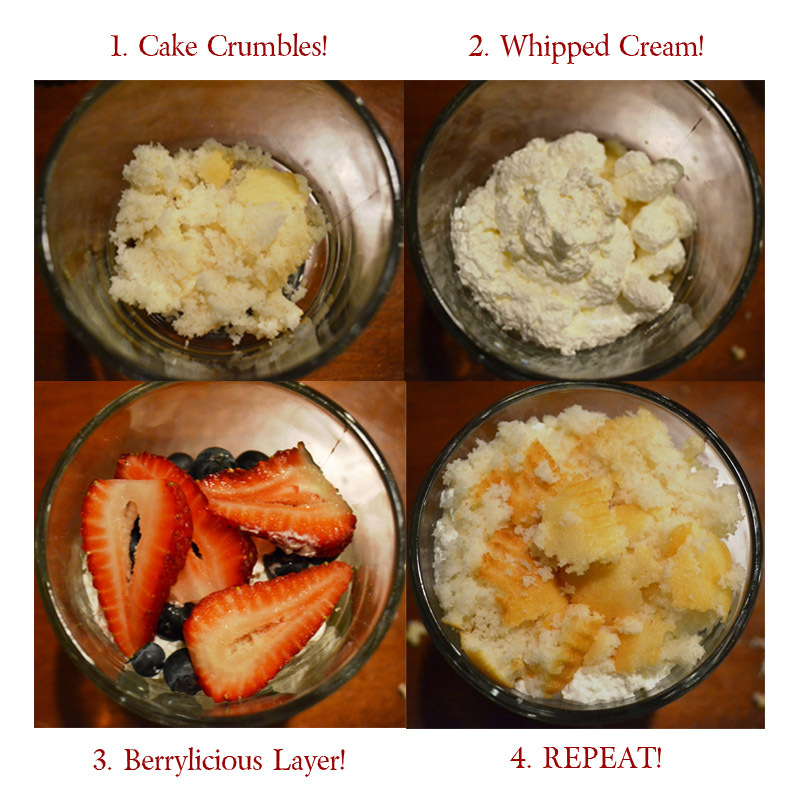 Everything is better made out of cupcakes, right?!? Can't you just taste them?!? this is an all-ages crowd pleaser!! 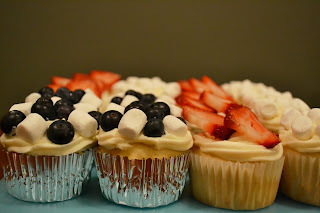 My second idea uses up the not so cute cupcakes that I always seem to end up with! Am I the only one?? These are so patriotically adorable!! for more fun food and crazy craftiness!! Thanks for having me Kyla!! How adorable! Just in time for Memorial Day! Unfortunately you might have just talked me into making this for our YW party. Great idea for the those not so pretty ones! Yum! How fun! I love your individual trifles! Thanks for sharing. Jaime I adore that picture of you at the top. I sure do love you! 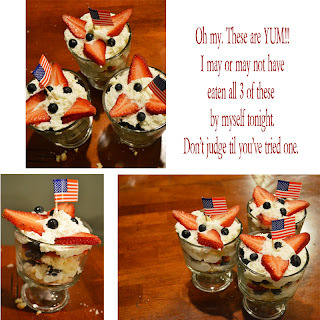 I just might make these for my pictionary dessert this week and if not they need to be done for memorial day or 4th of July. Yum! yum yum yum. they look so good! great job.